Welcome to Harrah’s Cherokee Valley River Casino & Hotel! Newest casino is located just outside the town of Murphy, NC. A brand-new destination with thrilling gaming, five food outlets, cool cocktails and hot entertainment. 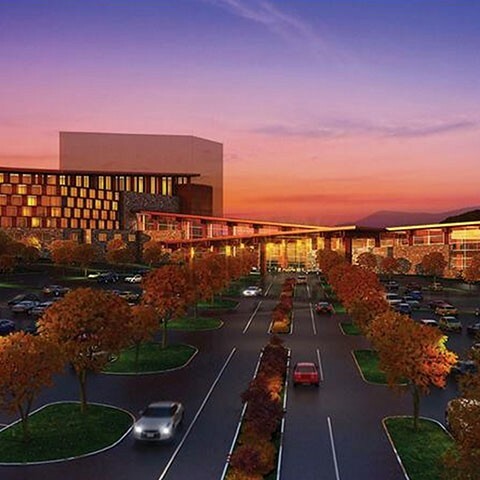 This North Carolina casino features 60,000 square feet of gaming space with more than 1,000 slots and 70 traditional table games. Valley River guests can enjoy a convenient getaway at the 300 room, seven-story hotel tower and enjoy top-shelf cocktails and refreshments at the casino bar. Experience the thrills of video poker at a table for one with this fast-paced version of the classic five-card draw game. Play your favorite video and slot games at Harrah’s Cherokee Valley River Casino & Hotel. Gamblers can choose from some of the hottest slot machines! You’ll find all your favorites, plus progressives and video poker in a wide range of denominations. Try your hand at blackjack, craps, or roulette!